Three different, but related variants of Hepatitis B Virus have been discovered in North-American rodents: Ground Squirrel Hepatitis B Virus (1975), Woodchuck Hepatitis B Virus (1978) and Arctic Squirrel Hepatitis B Virus (1996). In 1978, a virus was discovered in woodchucks or groundhogs (Marmota monax), rodents that are living in a broad range that expands via the northeastern and central United States to Canada and are found as far north as Alaska. Woodchuck Hepatitis B Virus is closely related to the Human Hepatitis B Virus. The virus causes a similar range of symptoms in woodchucks (chronic hepatitis and liver cancer) as does the human variant in humans. 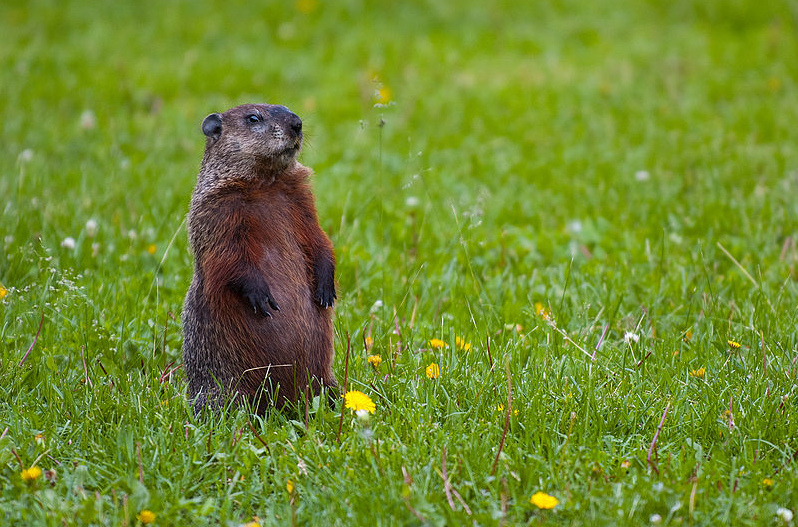 When sera was tested from 217 woodchucks that were trapped from several states, the data indicated a high prevalence of Woodchuck Hepatitis B Virus in woodchucks from the surveyed areas. The virus doesn’t cause any disease in humans but, yes, as you might expect from this very versatile virus, several novel forms have been discovered. The virus is continuously mutating and who knows what the future may hold in store for us. In this series we have already written about the related Ground Squirrel Hepatitis B Virus. It appears that ground squirrels cannot become infected with the Woodchuck Hepatitis B Virus and vice-versa. Not yet.